You may have noticed the limited range of places we write about. Moscow. The centre of Moscow. The edges of Moscow. The very occasional journey outside of Moscow. A number of articles about Mama’s hometown, Stevenage. The backlog of posts about where we used to live, London. The centre of London, the edges of London, the… OK, you get the idea. Mama, in fact, is a travel blogger who doesn’t actually like travelling much. Well, it’s a niche. But thanks to the World Wide Web, she can armchair travel as much as she wants. Mama enjoys other people’s trips to far flung places quite a lot. Plus, it allows her to keep in contact with all sorts of people in all sorts of places, to share a laugh, to see what they think is happening in the world, to peer into the tiny details of lives and living situations very different from hers. Even, in some ways, to participate. 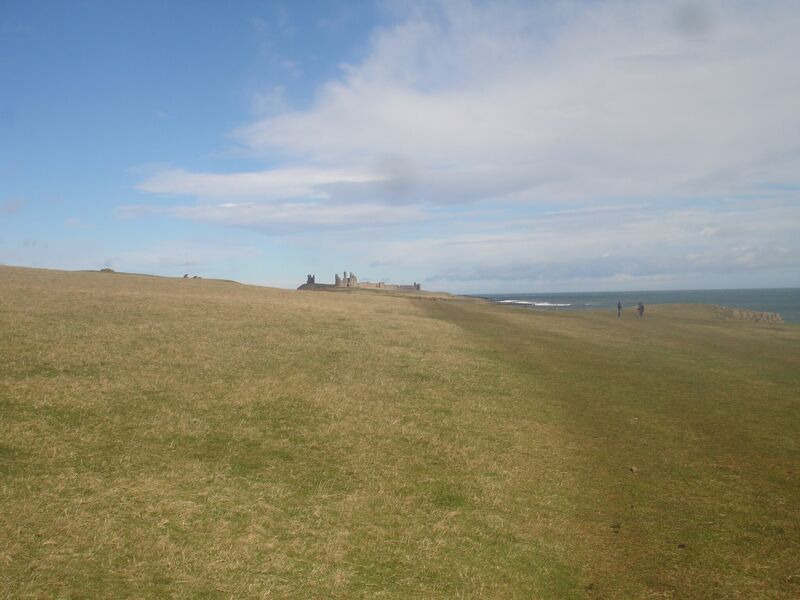 Which is what happened when her friends bought Noss Head Lighthouse Keeper’s Cottage, in the North East of Scotland, close to Wick and Inverness and their airports and train connections, and twenty minutes from the very top of mainland Britain, John o’Groats itself. Now Mama had not previously given much thought to the existence of Scottish lighthouses, or lighthouses in general. She might be the product of a proud island nation and the daughter of an enthusiastic amateur sailor, but she’s never lived within sight of the sea, the boat she is most familiar with is a Mirror dinghy, and her sailing has all been done on lakes. Very small lakes, mainly. So previously she did not know that Scottish lighthouses were frequently built by one or another member of a family of engineering-minded Stevensons. 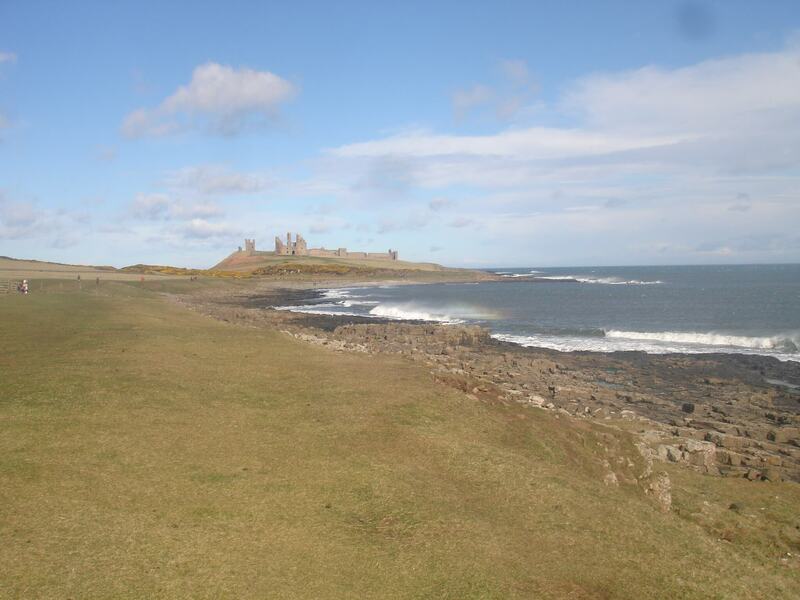 With the exception of Robert Louis Stevenson, who benefited from lighthouse building being quite a lucrative business on the rocky north coast of Scotland and became a writer. Yes, that Robert Louis Stevenson. ‘I dreams of cheese! Toasted mostly! Oooh arrr Jimlad! Shiver me timbers! Pieces of eight!’ says Mama, helpfully. ‘There is scarce a deep sea light from the Isle of Man to North Berwick, but one of my blood designed it. The Bell Rock stands monument for my grandfather; the Skerry Vhor for my uncle Alan; and when the lights come out along the shores of Scotland, I am proud to think that they burn more brightly for the genius of my father’. 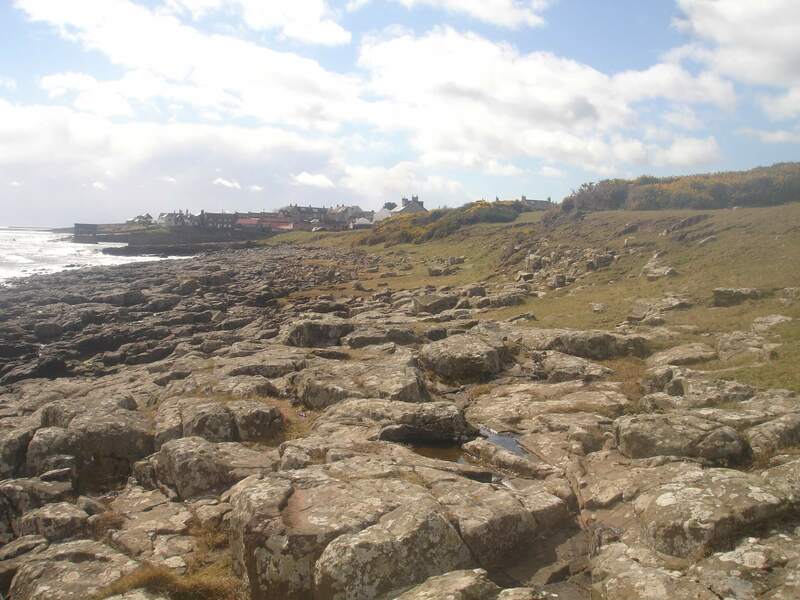 Alan Stevenson, the uncle, was the one who oversaw the construction of Noss Head Lighthouse and surrounding buildings, and Noss Head has some interesting features. The diamond-shaped windows in the lantern room were a new design, subsequently employed in future lighthouses. He also went a bit overboard with the architectural detailing on the cottages and outhouses, which means that some of them, although not the Noss Head Lighthouse Keeper’s Cottage itself, are grade A listed. The Noss Head Lighthouse is still in operation, but has long been automatised, which is why you get to stay in the keeper’s cottage rather than the keeper. Cool, huh? Mama has a somewhat proprietorial feel for the place, despite living very much at the other end of Europe, as she is part of a brainstorming group her friends use to make sure that their meticulous holiday cottage planning is on point. The discussion about the type of biscuits to include in the welcome pack was a particular highlight, not least because Mama discovered there is such a thing as Blue Stilton and Walnut Shortbread. In fact, when you walk into the cottage, contemplate Mama being quite proud to have contributed (a very very small part) to choosing the best colour of curtains to create a warm and inviting atmosphere; deciding what kind of saucepan would suit visitors best; searching for interesting books about lighthouses to add to the sitting room bookshelves; stress testing the cottage’s website and the information provided for guests; and working out how to make the cottage child friendly without compromising the aesthetic for adult guests. Currently debate is buzzing about Noss Head Lighthouse Keeper’s Cottage fridge magnets. You are very welcome. 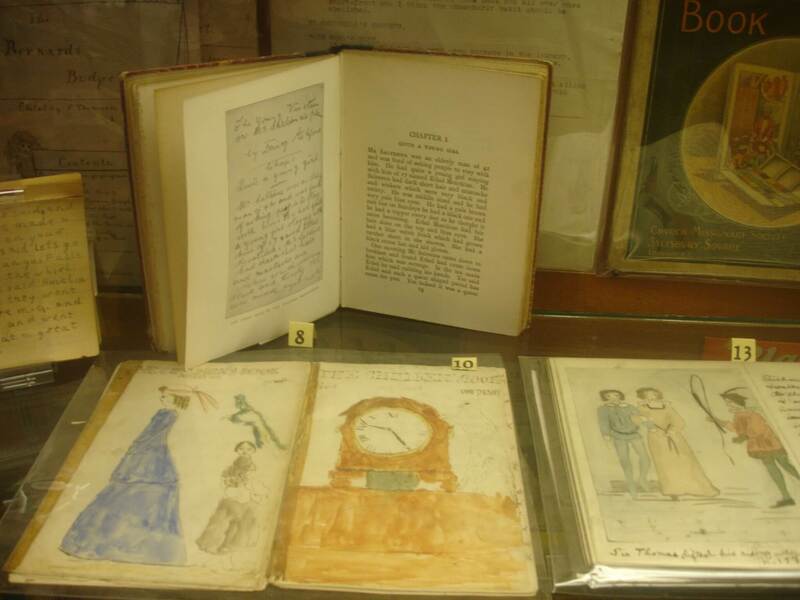 Overall, Mama’s friends richly deserve the enthusiastic comments about the attention to detail in the visitors’ book. Now, obviously you want to be comfortable and have a cool place to stay on holiday, and with this holiday cottage you are clearly sorted. 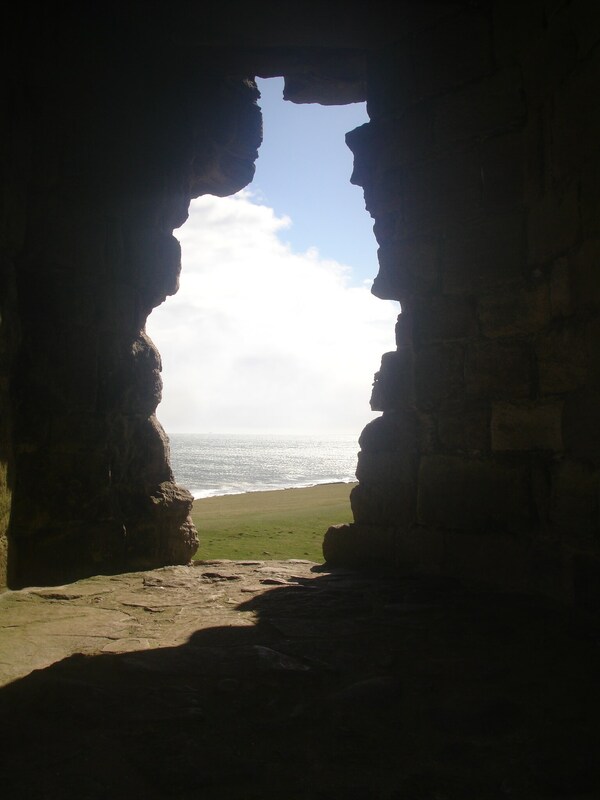 But presumably you also want to get out and about and see a bit of Scotland while you are there. 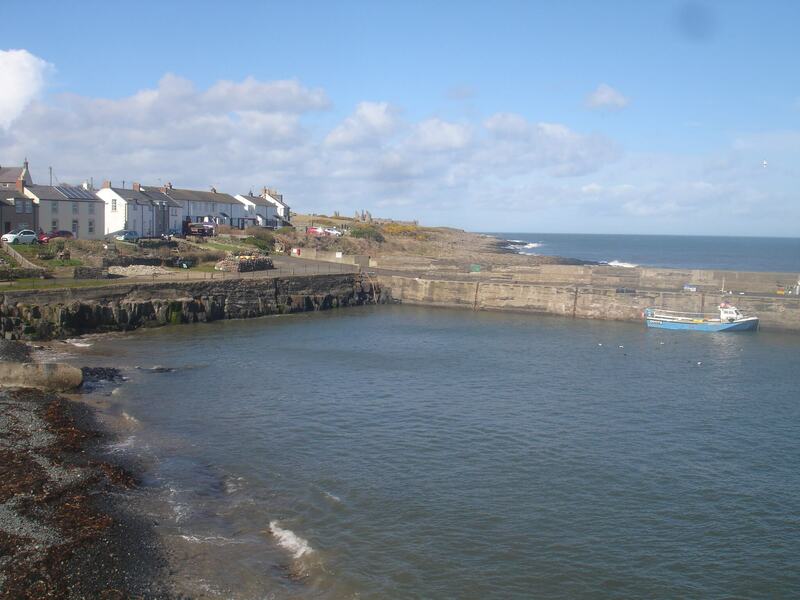 Luckily there is certainly plenty to do, in terms of taking in spectacular coastal views and rockpooling along beaches around Noss Head Lighthouse, and also in the surrounding area. 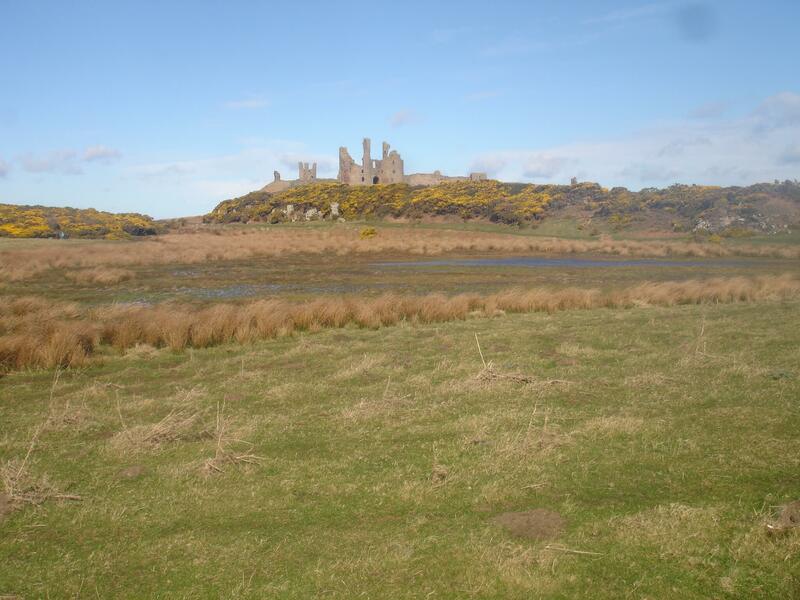 Caithness is plentifully supplied with castles, including a ruined one you can see from Noss Head Lighthouse Keeper’s Cottage itself. As well as the views, there are opportunities to see all sorts of wildlife and birdlife from puffins, through hairy cows to seals. There is ancient history in the form of prehistoric stone towers called brochs. 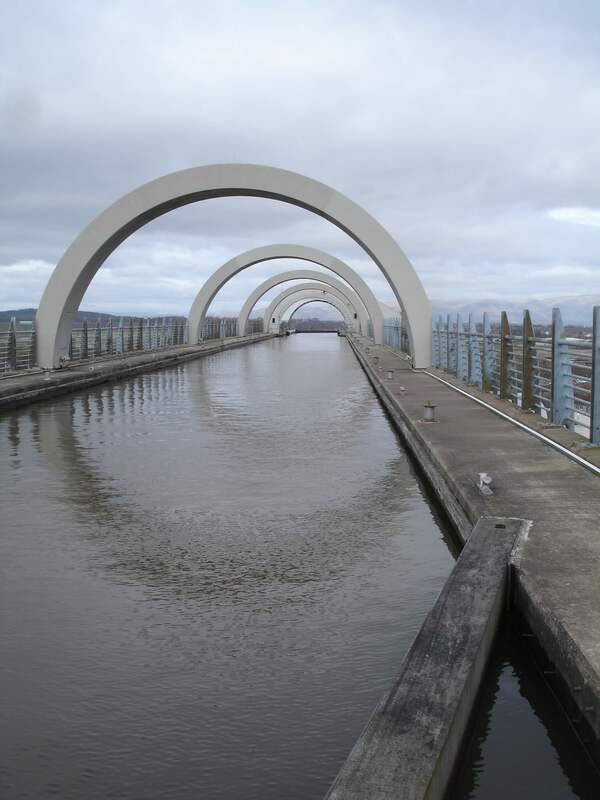 And this being Scotland, there is a whisky distillery. More than one, in fact. And a gin distillery. And a vodka distillery. And also a brewery. Plus, many small craftspeople crafting away and prepared to sell their unique items of knitwear, pottery, ironmongery and so on. 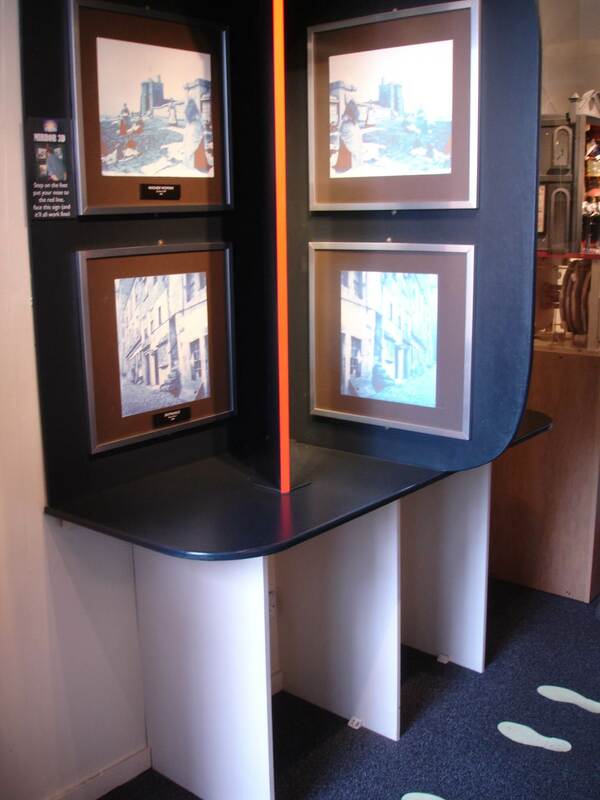 A number of the paintings in the cottage are by local artists, to give you an idea of what is out there. If you are really lucky, the northern lights might come out to play. If you aren’t lucky, the chances of a cloudless night are good, giving you the opportunity to stargaze away from the light pollution of most towns, cities or villages. More than this, the North Coast 500 road trip route goes right past the Noss Head Lighthouse Keeper’s Cottage. Even though Mama blanches at the thought of travel, she does have a sort of fascination with road trips and similar. She quite enjoys the thought of packing up a car, an RV, a canal boat or even the Trans Siberian Express, and being gently wafted from place to place, waking up somewhere new every few days, yes, but with somewhere convenient to stash all the extra changes of socks, snacks, extra camera batteries, two tablets and a kindle, five more pairs of pants than the number of days we are staying away for, my bedtime cuddly toy, a couple of books, the wellies, the flip flops, the swimming things, the umbrella, the thermos, and the crafting activities so she doesn’t have to lug them all around with her. Or worse, leave them at home. So when Mama finally decides it’s time to go, the journey will be EPIC, and driving round the top of Scotland on the NC500 sounds pretty perfect, with moorlands, lochs, Highland glens, white sand beaches, hamlets, fishing villages and oodles of Scottish wilderness to explore. Aside from the breathtaking scenery, after years of city living she actually rather enjoys the infrequent occasions she gets to fling a car round country roads. The fact that Papa is generally closing his eyes and gripping the edges of his seat in fear is revenge, Mama thinks, for years of her putting up with Muscovites and their overly breezy attitude to lane changing at speed. Even the idea of trying to shift Papa’s opinion that whisky tastes a lot like moonshine vodka sounds quite appealing. And you get to stand at the very top of a country, at John o’Groats and contemplate taking off and seeing how long it might take to get down to the bottom and Lands End, just for the fun of saying you did it. Mama wants to go to Vladivostock, for much the same reason. End to end, baby. It’s a (very long term, and probably hypothetical) goal. Especially as her fitness levels are not going to see her climbing any serious mountains any time soon. Although there are a few of those Northern Scotland too. Bagging one of the Munros is a thing, and there are 37 of them on the NC500 for you to choose from. So, if you want a quirky holiday cottage in the Highlands of Scotland, a quirky holiday cottage on the NC500, a quirky holiday cottage near John o’Groats, or just a really comfortable (and quirky) holiday cottage somewhere scenic, you really should consider the Noss Head Lighthouse Keeper’s Cottage. Just to be clear, we have not received any financial or other incentive for writing this post. We just like our friends and think their lighthouse cottage is way cool. Noss Head Lighthouse Keeper’s Cottage website. The cottage is 2.5 hours drive and 100 miles from Inverness. 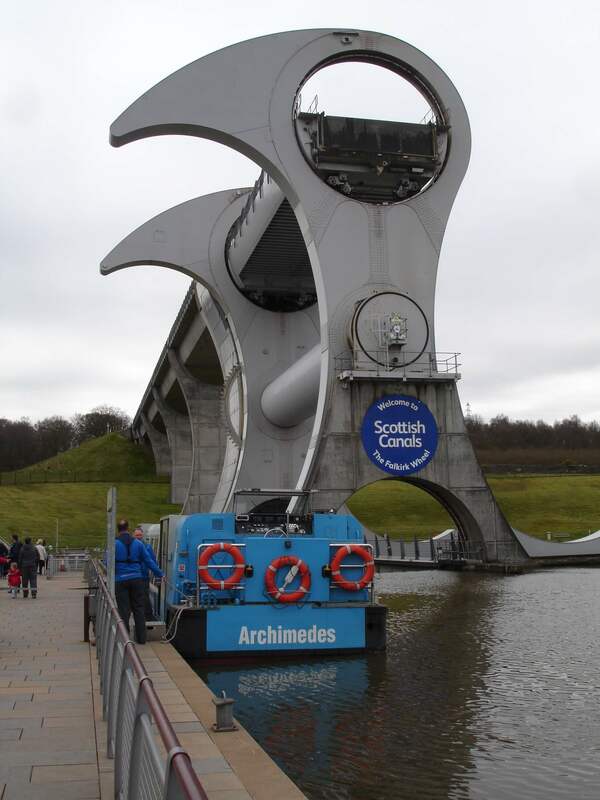 It takes five or six hours to drive from Edinburgh or Glasgow. Buses and trains take longer. You can fly into Wick airport, next door to the cottage from Edinburgh or Glasgow. If you are coming from England there’s a sleeper train from London to Inverness, or you can fly into Inverness airport. Then hire a car. 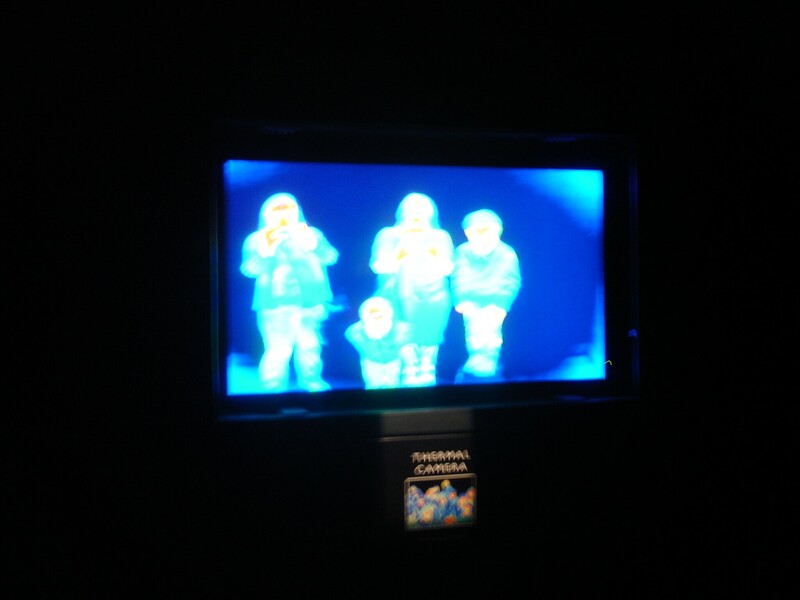 If you are ever in doubt as to whether or not your smalls will enjoy the Edinburgh’s World of Illusions and its Camera Obscura all you need to do is hang out on the street outside for a bit and let them play around with the fairground mirrors the attraction has set up along the walls. Look Mama, I’m really small! And! Terrific Big Brother’s really tall! You are (even) fatter, HAHAHAHAHA! My body has disappeared! WE’RE UPSIDE DOWN!!! Our heads! Our heads are unimaginably huge and our legs are really skinny!!! That’s the FUNNIEST THING I’VE EVAH SEEN!!!!!!! At which point you go in, if only because you are starting to feel as though you should give them the talk about how body shapes and physical attributes should not be quite so wildly amusing as they appear to be. Once inside you are encouraged to book straight in for the next Camera Obscura show. This is probably because it’s at the very top of the five floor building, which is listed and therefore has no lift. It’s definitely best to get the climb over with and work your way down rather than have all those stairs to keep looking forward to. Which, by the way, also means the place is pushchair unfriendly. They pack a lot into a smallish venue at the World of Illusions, and while there are generous (unlocked) cupboards for your coats behind the counter, it’s going to be difficult for them to store five hundred wheeled baby carriers. Bring the sling for those unambulatory children. 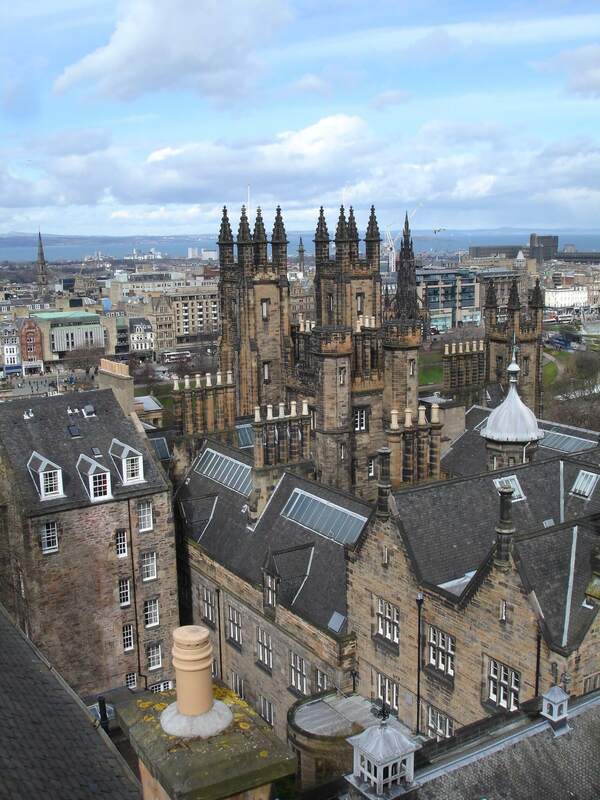 There may or may not be a short wait when you get to the Camera Obscura, but this is not a problem as there is a balcony up there too where you can look out over the very striking Edinburgh rooftops. 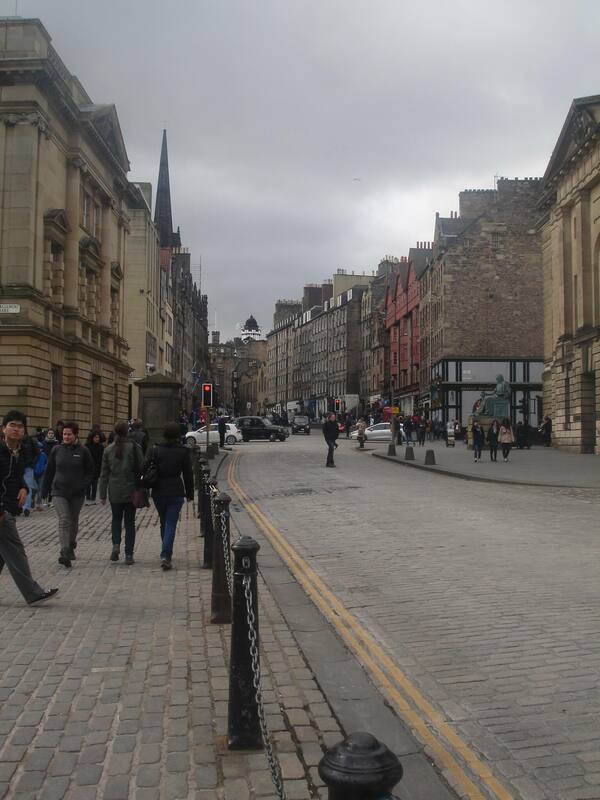 You are at the top of the Royal Mile here and at one of the higher points in this multi leveled town and so if you are into your cityscapes, this is an excellent place to indulge yourself. Especially because of the striking splodgy stone used throughout the city and, of course, the fact that the World of Illusion (with its Camera Obscura) is right by Edinburgh Castle, so you can have a good gander at those imposing walls too. The show itself will depend a bit on the weather – the brighter it is, the better you will see. It was a decentish day when we went, so everything was pretty clear. Now, I’ll be honest, I am not sure what is so fabulous about looking at a slightly faded image of the outside world we were just admitting on the balcony projected upside down onto a table aside from the fact it has been going since the 1850s. I mean, I have a camera of my own which makes films, cartoons and inserts my face into computer games, and I can turn my Mama pink or stick funny hats on her too! But the woman wielding the controls had a good line in patter and we all enjoyed the tricks she, and then later we, got to play on the people walking down below, so our attention did not, in the end, waver. 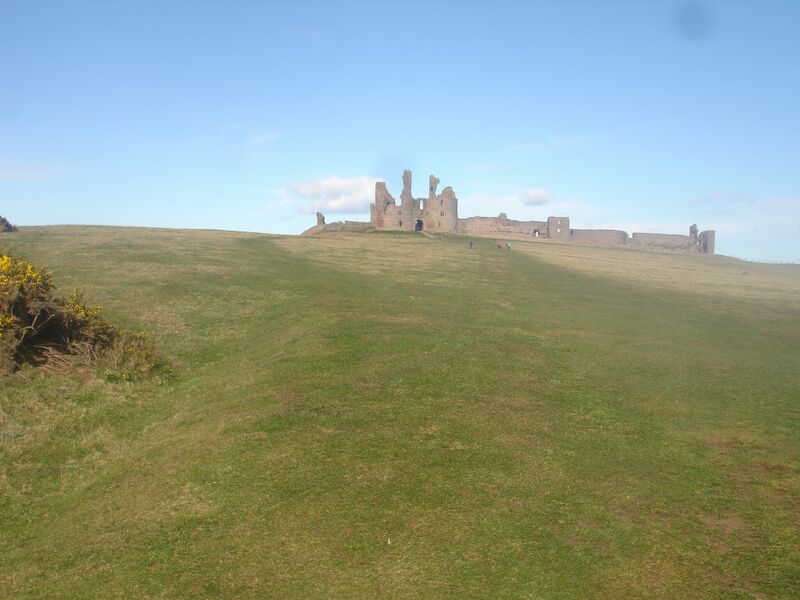 Incidentally, if you are walking the last 100 metres up to the castle do look upwards and smile! People up there will be messing with you and it’s nice to acknowledge it! After that it was time to go and play with all the illusions. Which are not at all just based around doing it with mirrors. Although some of them are. One of Mama’s cherished memories is of watching my Terrific Big Brother bounce off one of the genuinely confusing panels in the mirror maze before he realised that not all corridors are what they seem. And then do it again round the next corner. 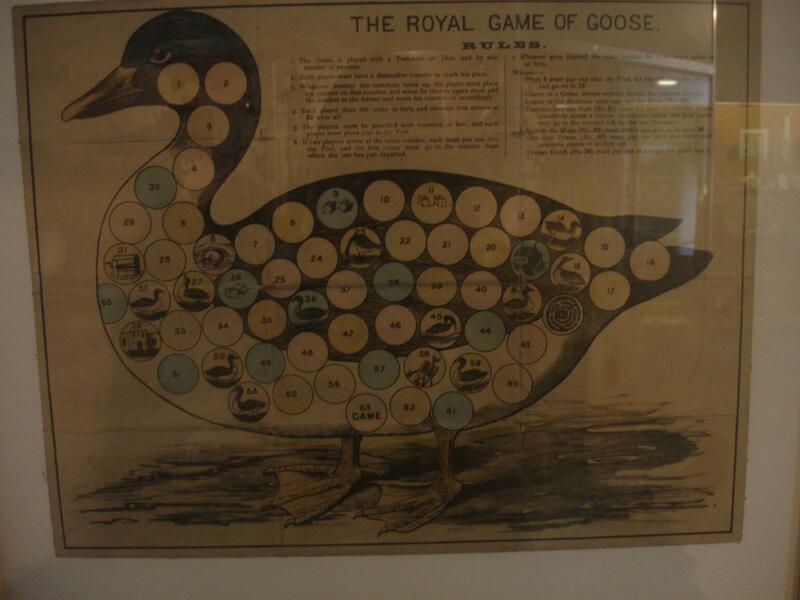 We were also highly entertained by the puzzle that made it look as though our severed heads were being served up on a plate and by the room which allowed us to swap places. I was the giant! My Terrific Big Brother was tiny! But were were still the same size really! Endless entertaining photo ops for those who do not mind putting their kids’ images on the Internet. Entertaining photo opportunities abound, in fact. Unfortunately, Mama was having too much fun to remember about taking some for the blog. We also thought that the shadow generators were cool – you throw a shape, the light flashes, and there is your shadow fixed on the wall! And you can do it with different colours and cutout shapes later on!! You can also paint with light, paint with pixels, and manipulate a photo of yourself so that you are older, younger or belonging to a different gender. And… look, the list goes on and on, and it’s very varied. Our very favourite was the computer games projected on the floor. You do it all with your feet! Jumping! We’ve come across these before, but the World of Illusions took it to a whole new level, with football, a PG version of Grand Theft Auto, fish squashing opportunities and more. 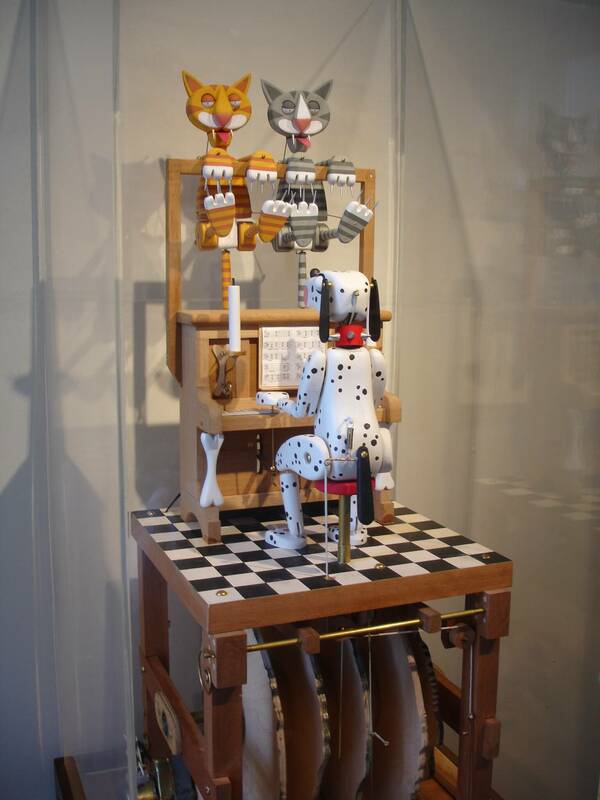 But we were also thrilled to see the mechanical automatons. The *singing* mechanical automatons. The singing mechanical automatons of the type which Mama usually declines to put 50p in to get to work. The singing mechanical automatons of the type which Mama usually declines to put 50p in to get to work and which here were FREE. Coulda watched those for hours. And my Terrific Big Brother was also pretty taken with the objects hidden in sometimes quite famous paintings, reproduced on the walls throughout the World of Illusions. Just goes to show that sometimes even the oldies are the best. 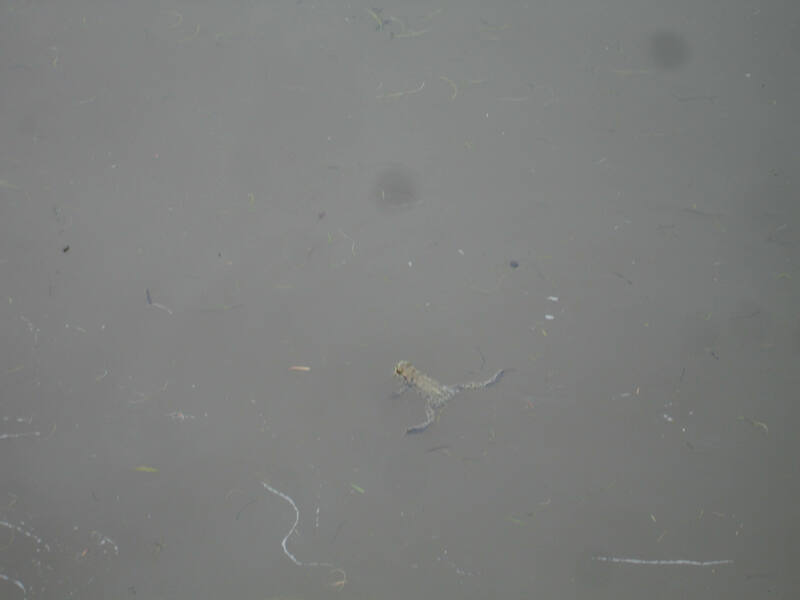 Which you can certainly see in what caught the adults’ eyes. They were particularly impressed by the electricity based illusions. Bless. They really are that old that a bit of artificial energy generation is thrilling. It’s so quaint! Mama also enjoyed making mini video clips of herself dancing around or pulling faces, which then got speeded up and put on a loop. So nice to see her entering the 20th century at last. They also liked the ones that messed with your head. The way you could shake hands with yourself if you stuck your hand just right in that hole, or boggle as your left hand became your right if you put them in this. I dunno. My sense of self is only a few years old. I’m discovering new things about it every day! Do your own hands ever get overfamiliar? Apparently. 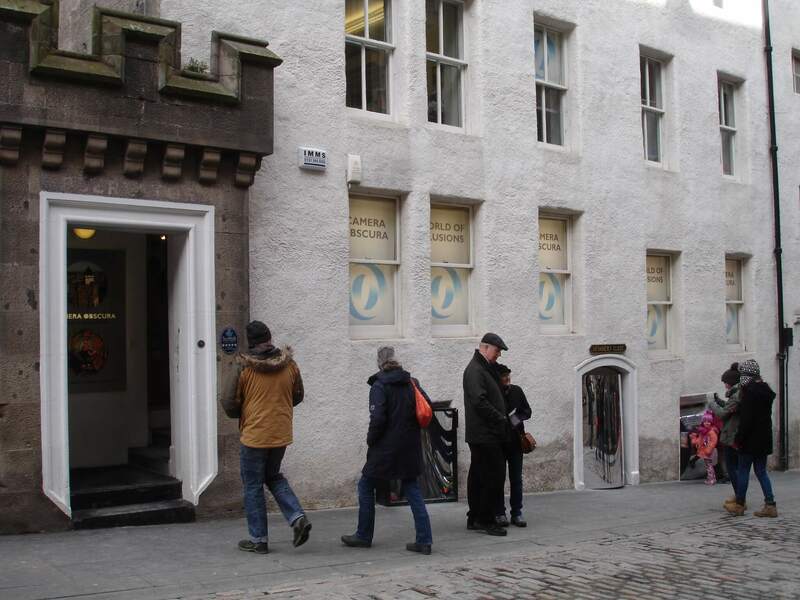 In fact, the Edinburgh Camera Obscura and World of Illusions is that rare rare thing, though, a place which is equally as enthralling for both adults and children alike, where everybody can enjoy playing around for hours on end. You know all those really good interactive bits in museums which are for the kids, and which adults have to all be mature and let the little darlings run off steam before they drag them back to the dead fly catching exhibits? Where, maybe, the adults’d like to join in but can’t because there are SO MANY small bodies in the way and potentially judgmental peers all about so they just have to stand around staring gloomily at their phones instead? It’s like that but with adult participation positively encouraged without them without having to wait for late openings. Everything is even at adult eye height as well as kids’! Or at adult eye height with a box nearby for us to stand on. There were, in fact, adults there without any children at all! Radical! And best of all, there is no obvious educational point to any of it. I mean, I daresay you could get all enthused about light, physics, computing power, psychology and so on and so forth but you don’t actually have to. Minimal explanatory placards! Very liberating once in a while. Wooohooo! Basically Edinburgh’s Camera Obscura and World of Illusions is a LOT of fun. Highly recommended and definitely worth the price of admission. The Edinburgh Camera Obscura and World of Illusions’ website. This is what the Hitchhiker’s Guide to the Galaxy has to say about making 3D pictures. Opening: Every day 9.30am to 7pm (NB there are slightly shorter hours in winter and longer hours in summer). 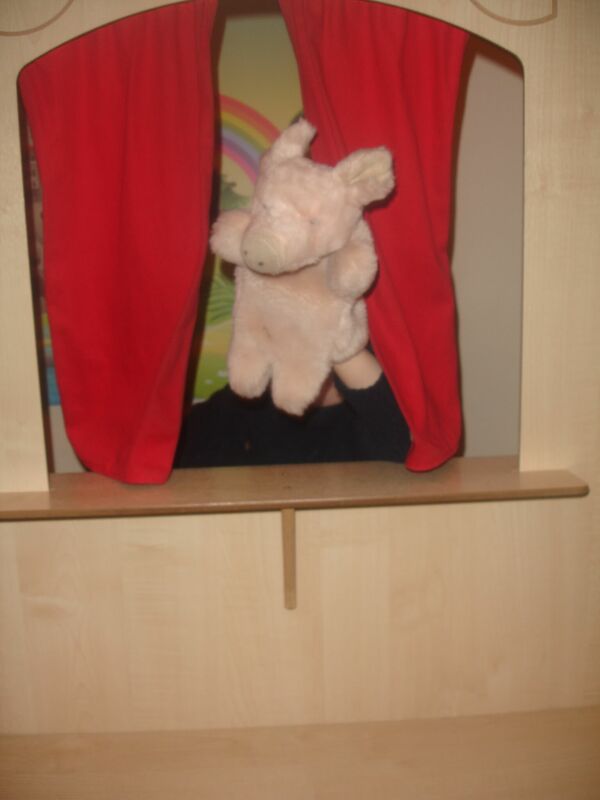 Admission: Adults: £13.95, Children 5 – 15: £9.95, Under fives: free. 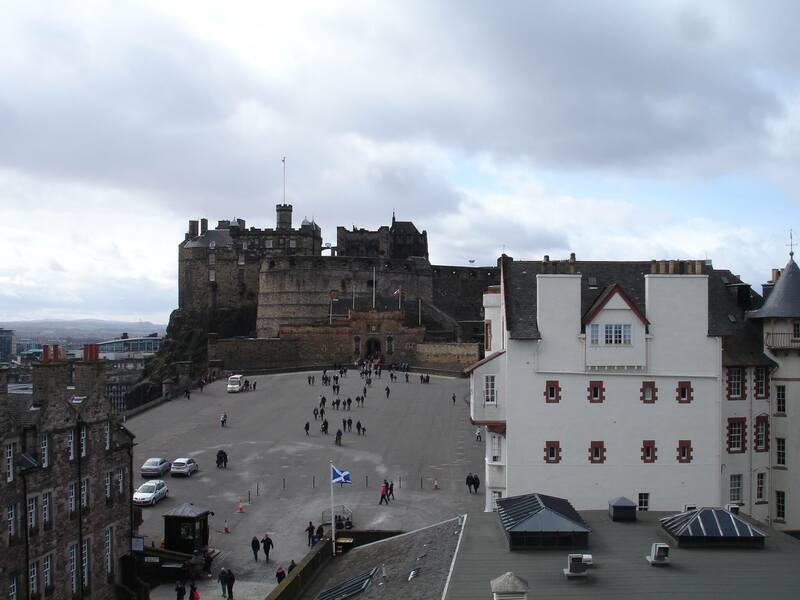 By public transport: From Edinburgh’s Waverley station, go over Waverley Bridge and up the Royal Mile towards the castle. The Camera Obscura and World of Illusions is on the right just before the castle. There is also St Andrews Square Bus Station off Princes Street, and local buses 23/27/41//42/45/67 to Market Street and George IV Bridge stop nearby the attraction. By car: Apparently there are car parks in Edinburgh. Mama cannot comment on their ease of access or price, however. 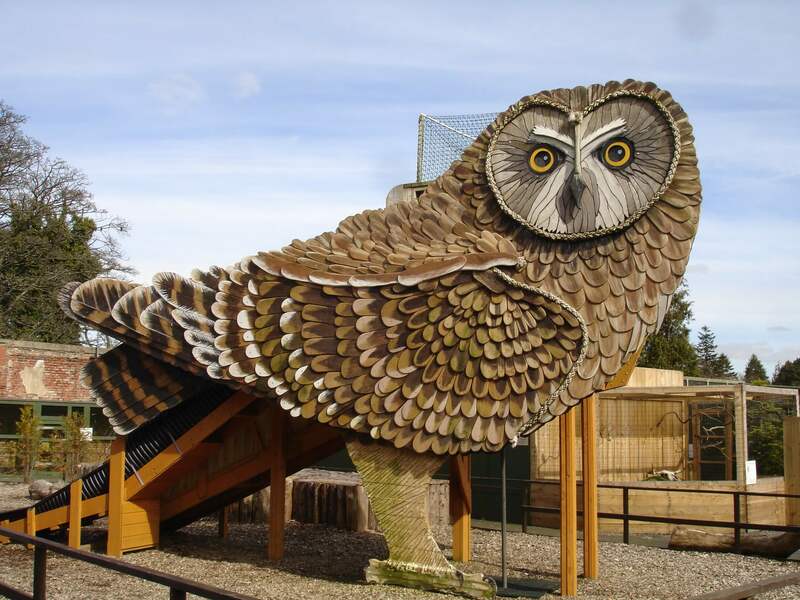 Almost the entire point of going to Scotland as far as my Amazing Big Brother is concerned is visiting the Scottish Owl Centre, conveniently situated midway between Edinburgh and Glasgow on the M8. This slide is whizzy! And very cool. This is because of the owls (surprise!). There are a lot of them though. Big ones, medium ones, small ones, really really small ones, white ones, grey ones, brown ones, ones with speckled feathers, stripy patterns, spots, owls that hide away in burrows with alarmingly long legs, fishing owls, owls from hot countries, cold countries and tropical rainforests (Tropical! Rainforest! Owls! Says Mama, delightedly), owls with black eyes, yellow eyes and orange eyes (there’s a story behind that), owls with signs on the doors suggesting you stay weeeeeeell back so that they do not savage your little fingers, hooting owls, screeching owls, owls which make other hauntingly beautiful noises while you eat your sandwiches and play happily in the sunshine, and lots of owls who are, apparently, getting ready to hatch out new baby owls before our very eyes. 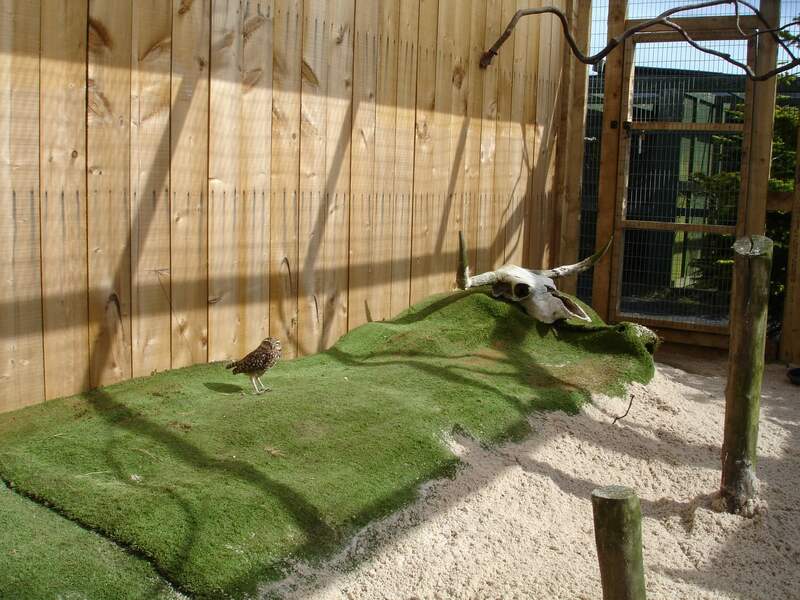 Which is reassuring from an ‘are the owls enjoying themselves in those cages’ kind of way. And all of these owls had that thousand yard solemn unblinking stare and did that distinctive wiggly head movement as they watched me go by. Tropical owls! Tropical! Owls! Wanting to eat me for lunch! Cooooooool! My Amazing Big Brother is convinced this means they are trying to get a bead on the aerodynamic possibilities of swooping down and carrying me off like a mouse. Sometimes it’s quite worrying being small. But it certainly added a bit of spice to our visit. This one will probably not be able to make off with me. 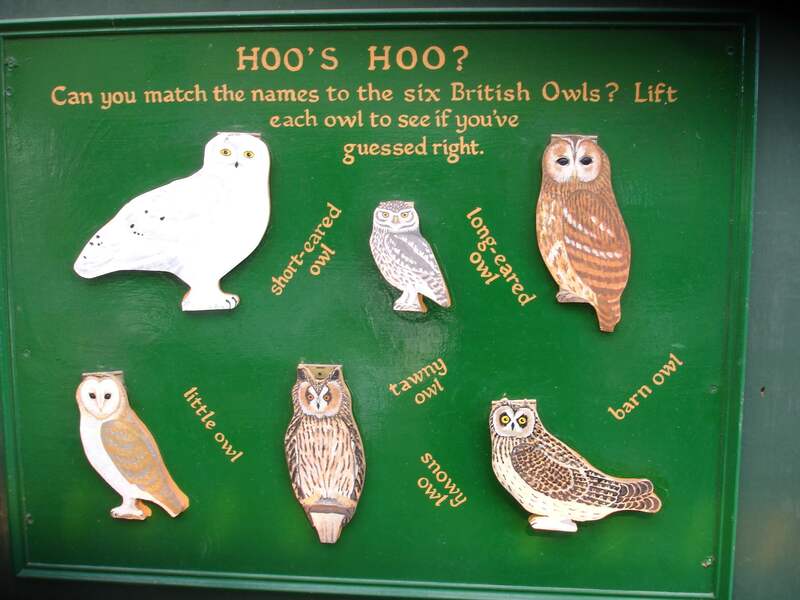 But despite the variety of owls, the Scottish Owl Centre is not really a full day out, even if, like my Amazing Big Brother you insist on going round twice, very very slowly, getting Mama to read all the placards. In fact, it will probably only take you forty five minutes to an hour tops to saunter around all the owl enclosures, although there is also a giant fast tube slide and a small crawlabout maze to occupy you next to a picnic area, and some oldschool educational displays in a covered space, which do an excellent job of conveying really quite a lot of information about owls, their habitats and habits in a simple, but fun interactive manner. We particularly recommend the one where you have to stick your hands in squidgy wet artificial snow and play hunt the voles. It’s FABULOUSLY gross. My Amazing Big Brother got all of these right – can you? 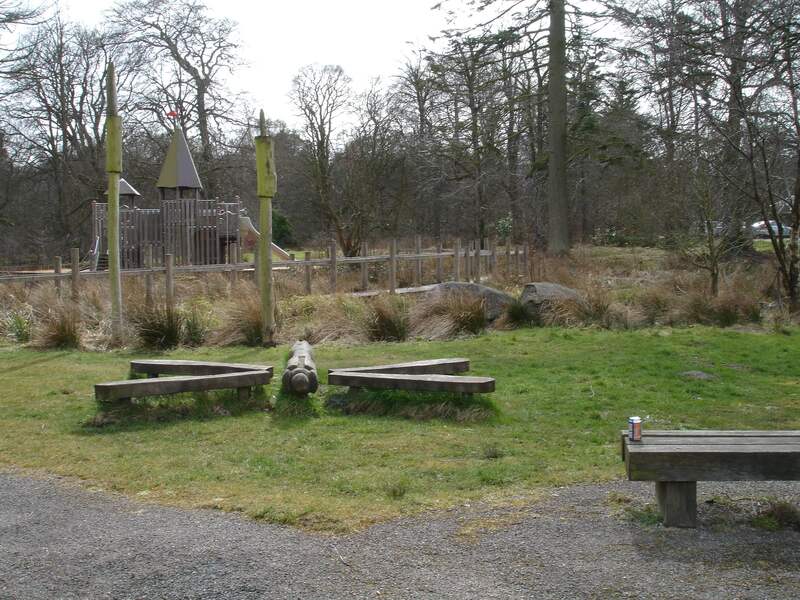 Luckily there also is an excellent and quite extensive adventure play area right outside in Polkemmet Country Park, where the Owl Centre is situated. There’s a sandpit with its own built in sand toys, a wooden castle, various climbing nets and structures, a zipwire, and swings. Please be as amused as Mama is by the can of Iron Bru. There’s also a real life steam engine parked and ready to climb over, although much to our disappointment, you couldn’t actually turn the handles, stoke the fires or set it moving. Tickets for the Scottish Owl Centre are valid all day so you could pop in and out after playing there, and there are also woodland walks to had, although much of the park is taken up by a golf course, which Mama says might spoil things, although I think she might be quoting Churchill there. Why would you want to pop back in, I hear you ask? 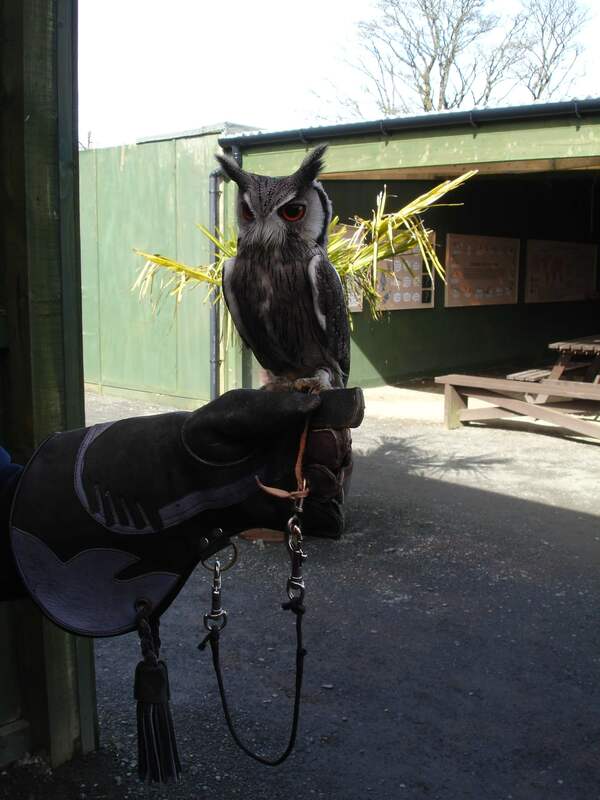 Because the highlight of your visit to the Scottish Owl Centre will be the thirty minute flying shows that take place twice daily in winter and three times in the warmer months. 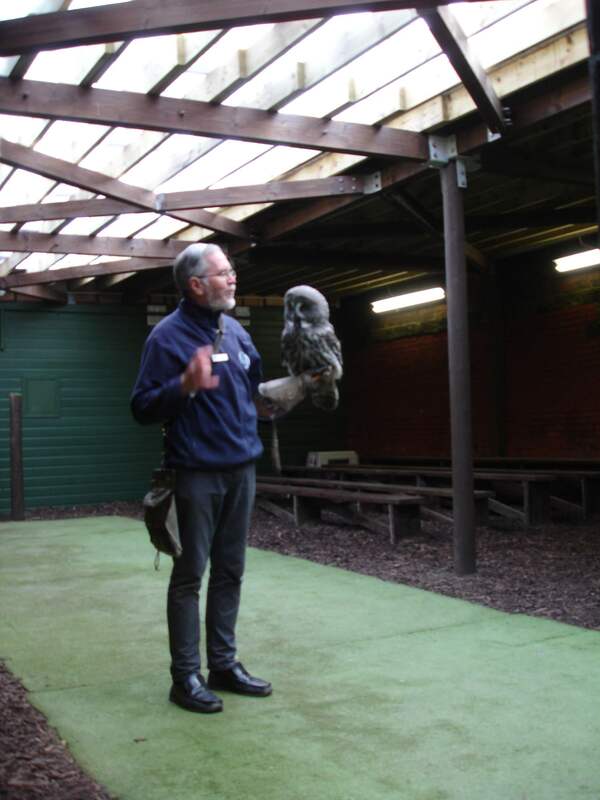 It’s not just that wherever you sit in the covered flying area you will feel (but not hear, their silent flight not being a myth) an owl swoop millimeters past you, or, if you go to the show where you get to lie down on the floor while the owl skims your nose, over you (which frankly is thrilling enough), but that the handler’s chat which accompanies the display is packed full of genuinely interesting tidbits of owly facts as well as a fair amount of background into the history of the place and its work as a conservation centre. The particularly nice thing is that each show is different, with different owls, different information and even different handlers, so Mama and my Amazing Big Brother think it is well worth sticking around for more than just the one. I, on the other hand, was enthralled for the entirety of the first show, but I did find that my three year old attention had wandered a bit by the end of the second one. This was the reason that we didn’t go back for the third. I think our favourite bit, though, was when we got to HOLD THE BIRDS! One of my Amazing Big Brother’s most prized possessions is the photo of him with an owl on his arm from our first visit here, but that time he was only my age so he had to make do with a smaller owl. This time, he was determined to hold a really big one, and so he did, even though it was so heavy he could barely manage it on his own. I took one look at the size of the Milky Eagle Owl’s beak and declared myself quite happy with the exceptionally cute White Faced Owl, whose parents Mama had only just that minute been admiring. You have to pay extra for this privilege, of course, especially if you want the centre to print you off a photo, but we are convinced it is well worth it. This was my owl! Isn’t it cute! Plus, if you have any burning owl questions still left unanswered, this is the time to ask them. The advantage of this small venue is that the people manning this attraction are fully involved in the work of the centre and very happy to chat about it. There isn’t any food outlet on the Owl Centre site, barring some tubs of ice cream in the reception foyer. The café in the grounds of the park (which otherwise gets rave reviews, Mama understands) was also closed when we went. But you can take sandwiches. There are certainly some attractive places to eat them both inside and outside the centre and the website for the Polkemmet Country Park also boasts a site you can hire for your very own barbeque in the spring and summer months. All in all, a child less relentlessly fixated on the animal world than my Amazing Big Brother might not think that the Scottish Owl Centre is quite worth a drive of two days with an overnight stop at an unrevamped motel in a service station off the A1 to get there, but my Amazing Big Brother certainly does. I’m not joking – he’s been going on and on about in the three years since our last visit and clearly did not accept Mama’s description of quite how far it was as any kind of barrier for a weekly trip. Mama and I are a touch less enthusiastic, but we both agree that if you are in the area and the weather is even halfway decent it is definitely somewhere you should have on your list. 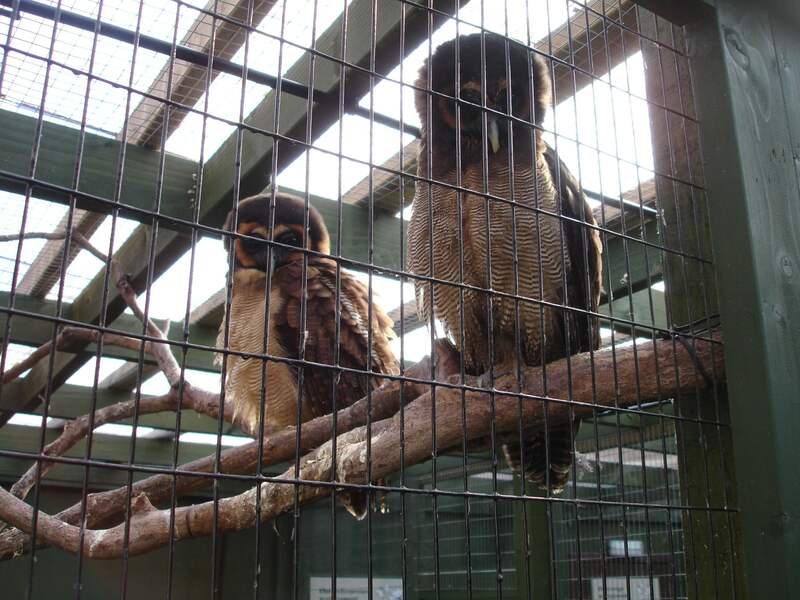 The Scottish Owl Centre’s website. 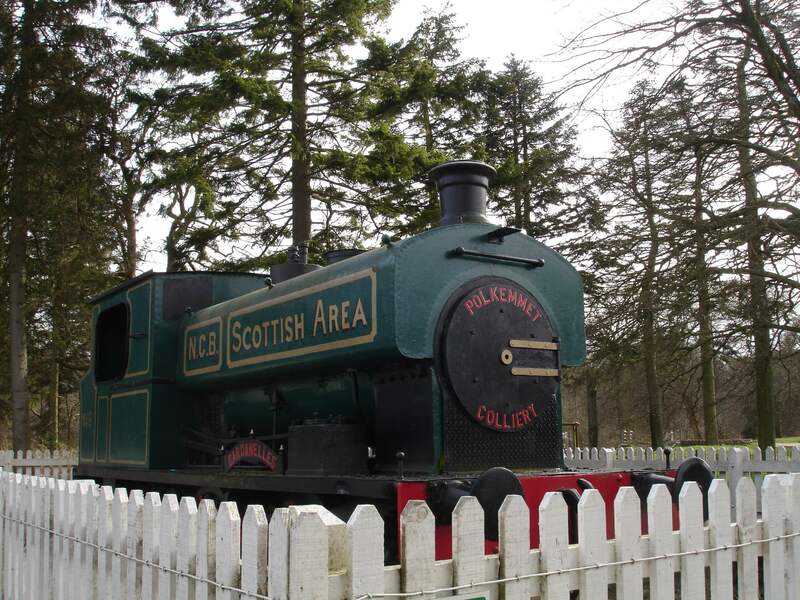 The Polkemmet Country Park page on the West Lothian council’s website. This is what the Hitchhiker’s Guide to the Galaxy has to say about eyesight. Opening: Feb, March, Sept, Oct, Nov: 11.30 to 16.00 (flying displays 12.30 and 14.30). April to August: 10.30 to 17.00 (flying displays 11.30, 13.30 and 15.30). December to January: closed. 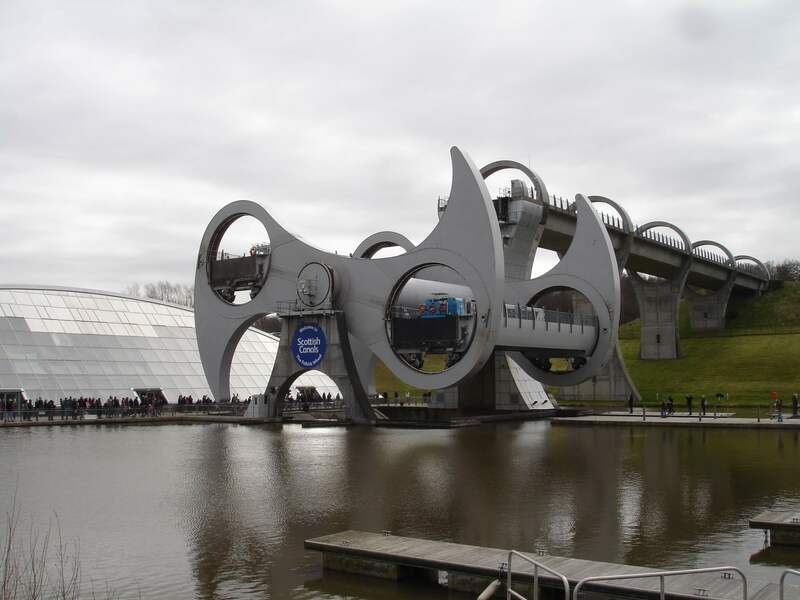 By car: Leave the M8, which runs between Edinburgh and Glasgow, at junction 4a. The Centre (and Polkemmet Country Park) is clearly signposted from there on brown signs. The Centre is probably about 45 minutes from both cities. The car parks in the park are FREE! 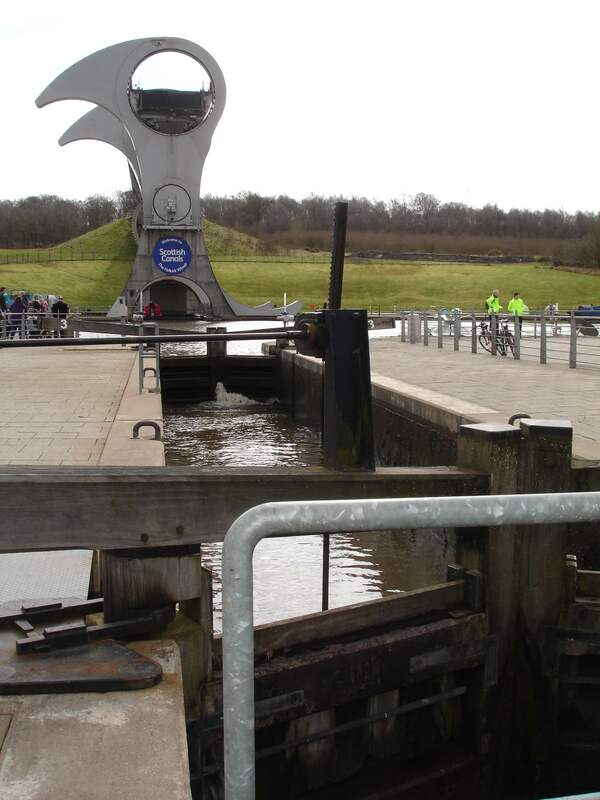 By public transport: Apparently, buses which run through Whitburn and Harthill pass the entrance to the park. Today we have a guest post from far far far far far away from the centre of the universe (London). Mama says it is Kidding Herself’s nod to Burns Night. I have no idea what she is talking about, since she forgot all about it until now. Hi I’m R and although I’ve never met Herself, apparently my Mummy knows her Mama because of the inter-webs. Anyway, we were in Edinburgh for a week and thought we would share with you one of our adventures. Edinburgh being, apparently, a bit far for Herself to travel for a day out on a regular basis. Despite what her Gallus Big Brother seems to think, having been here once and liked it. He probably liked it because they went to the same place we did, Deep Sea World which is situated beneath the Forth Rail Bridge, across the other side of the river from Edinburgh proper. Deep Sea World is decidedly fishy. You can tell this immediately you walk through the front door because you are greeted by a delightful aroma. Admittedly this made Mummy feel a bit sick (something to do with her currently growing a tiny human I think) but there’re some tanks that go all the way to the floor near the entrance which I think is compensation enough. I enjoyed sitting in front of these and pointing at all the different fish (the day involved lots of pointing at fish). There really were lots of them. However, there were also lots of tanks that I was to small to see into properly which I was less amused by. 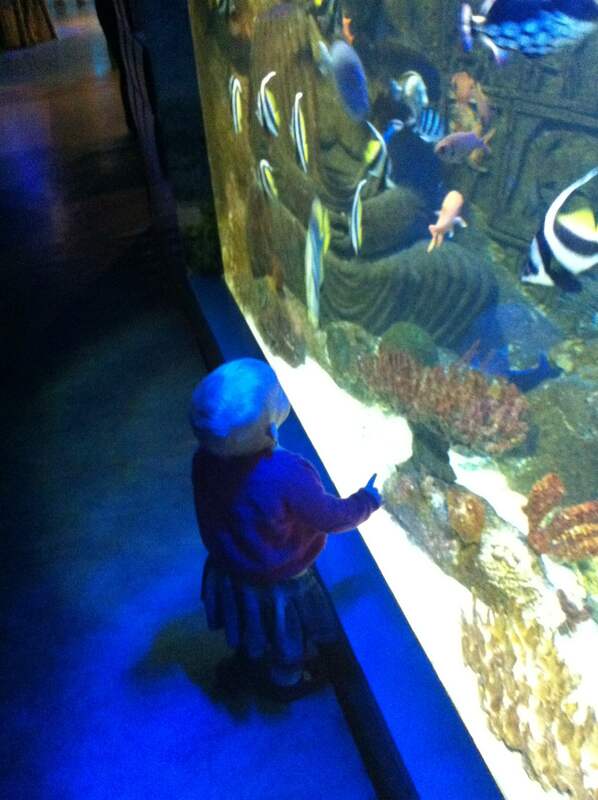 Of course, says Herself, who is wise to the vagaries of aquariums. She recommends growing. Still, we had a good look at a whole range of varied fish, piranahs, seahorses etc, then we ventured down into the main attraction, the big glass tunnel. This has a moving walkway on one side and a normal path on the other side. Mummy, feeling a little lazy, parked my buggy on the moving walkway while we looked at even more fish and, wait for it, SHARKS! I liked the SHARKS and all the fish. Again I couldn’t easily see into the tank from my low vantage point, but the tunnel arches right above the walkway so I did get a good look at anything swimming overhead. Fish mostly and did I mention the SHARKS? 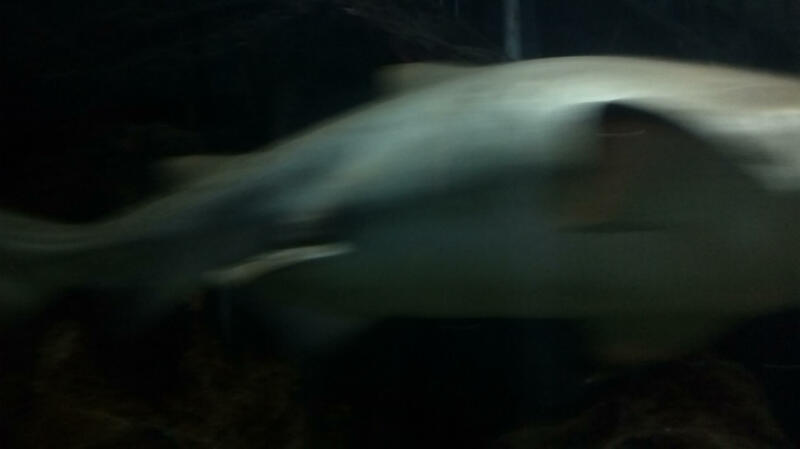 ( I was rather keen on the SHARKS). Nevertheless, I got bored half way round on our second circuit so we ventured back up to the main level in search of lunch. Mummy had thoughtfully packed a lunch to bring with us. Gran ate from the café though. She says the food was a little expensive but had decent portions. I was happy with my sandwich and snacks. Mummy let me escape from the buggy for a bit of walking around after lunch but as it was quite busy I had to wear my backpack reins. After lunch, we went round the big tunnel another couple of times and pointed at more fish and SHARKS. Then we tried out the shop. There were assorted cuddly sea creatures mostly with tags stating that they were only suitable for over 3s, and also the normal souvenir stuff of mugs and pens etc and sweets. All overpriced, Mummy said. But Gran bought me a bag of of squirty bath creatures so I didn’t come home empty handed! To finish off with we went along to have a look at the other big aquatic draw, the common or harbour seals. These occur naturally in the Forth Estuary that Deep Sea World is attached to, but given that it is a socking large expanse of water, it’s nice that the centre has enticed a few up close for our entertainment, and, according to them, the purposes of conservation. I watched around half of the seal feeding show thing, but it was a bit busy and Mummy said I was too heavy to sit on her shoulders for too long so we missed the end. All in all it was a reasonably enjoyable two and a half hours we spent there. 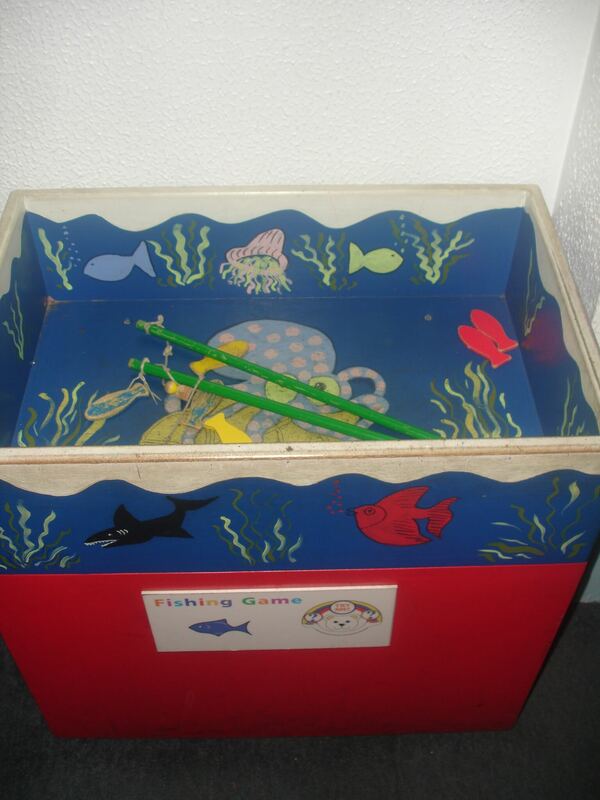 Mummy said that its probably better for children who are a bit older than me because in the end fish are all pretty much the same to me (except the SHARKS). 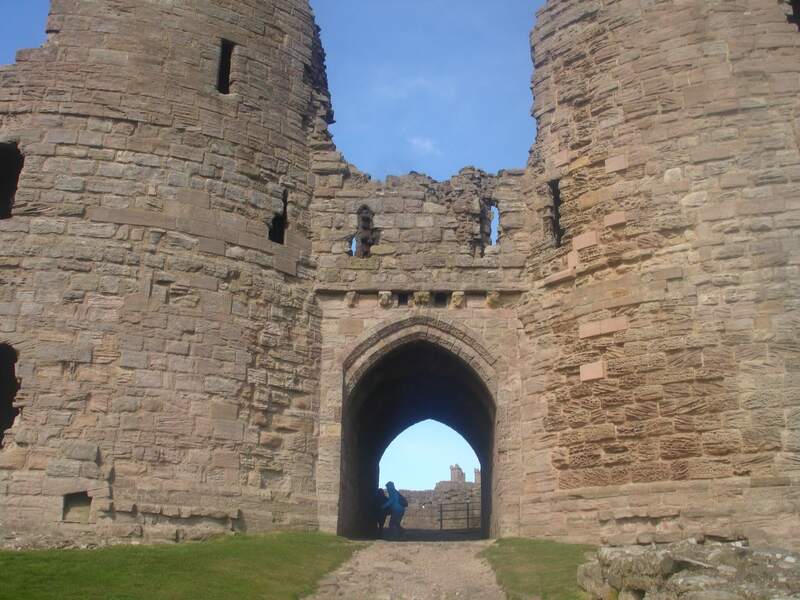 Mummy also notes that we went during the school holidays so it was rather full of other children! Be prepared to elbow them out of the way is what Herself advises, being that much older than me. I have listened to this advice carefully. Mummy will doubtless be so proud next time we go. This is what the Hitchhiker’s Guide to the Galaxy has to say about ‘SHARK Summer’, New Jersey 1916. Address: Battery Quarry, North Queensferry, Fife, KY11 1JR. Opening: Weekdays: 10am to 4pm. Weekends: 10am to 6pm. Admission: Adults and over 13s: £13.50, children over 3: £9.50, family of 4: £44.00. You can save if you buy in advance online. By train: North Queensferry Station is a short walk from Deep Sea World and is served by trains on the Fife Circle Line from both Edinburgh Waverley and Haymarket stations. The journey takes about 15 minutes. By car: Deep Sea World is just off the M90, 20 minutes from Edinburgh, 50 minutes from Glasgow and under 2 hours from Aberdeen (according to the website). There is free car parking on site.